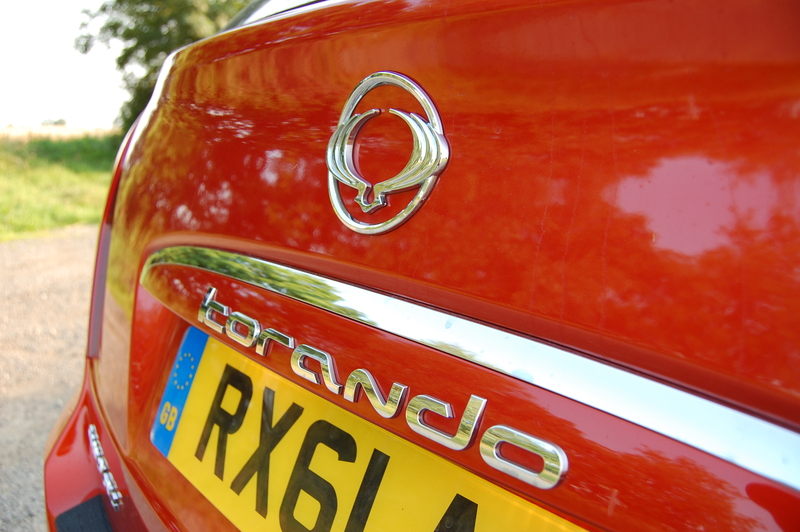 SsangYong’s Korando nameplate is not one that’s widely known outside the realms of car geekery, although this third generation model might be the one that helps the brand go more mainstream. A good-looking SsangYong: Korando by ItalDesign. What SsangYong may be better known for is the curious styling that’s shaped much of its range since the Musso debuted in the mid-1990s but the latest Korando is much less polarising. Instead, SsangYong is playing on the Korando’s other strong suit: its value for money. But how appealing is the most expensive version of the Korean marque’s entry-level SUV? 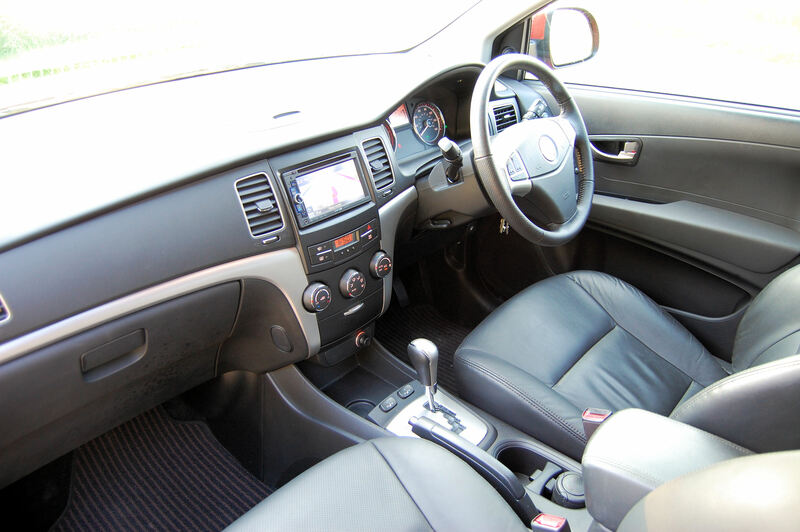 Thumbs Up: Attractive styling, good build quality, very well appointed, spacious cabin. Thumbs Down: Quality of plastics, hesitant T-Tronic gearbox, driving experience. You may just recall the first Korando that arrived in Britain back in 1997, predominantly for its cartoonesque styling. Imagine a Disneyed Jeep and you’re not far off the mark. 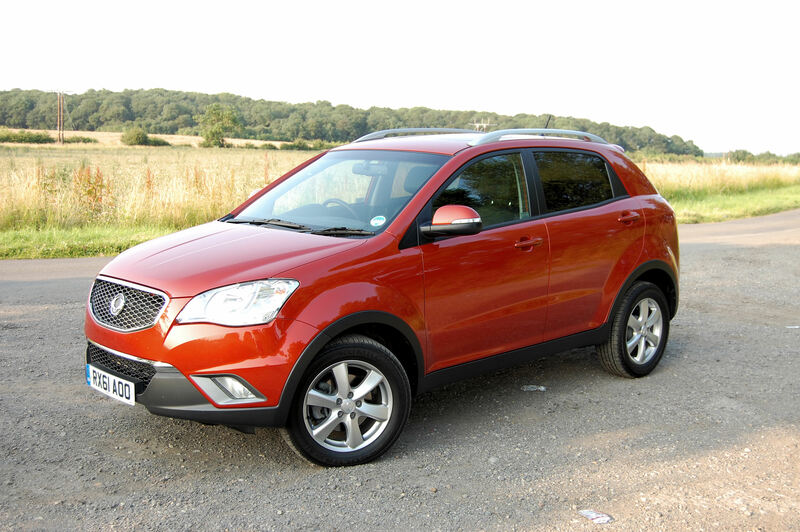 As the SsangYong range chopped and changed, the Korando badge disappeared, before making a comeback in 2011 on the current model. The inoffensive lines of the SsangYong Korando disguise its size well. In an attempt to broaden the marque’s appeal, the panel work was penned by the restrained hand of Giorgetto Giugiaro. Okay, not his most seminal of creations but the resultant Korando is good looking in an inoffensive way, has some interesting styling details, such as the wave at the base of the window line, and manages to hide its size and bulk remarkably well. Not that this is a full-sized SUV of course, the Korando is a direct rival to the likes of Hyundai’s ix35 and Kia’s Sportage as well as more established competition from like Honda’s CR-V and Toyota’s RAV4. Curvy details abound on the Korando, including this Fiat Panda-like font. The softer, less upright lines may appeal to those who like the notion of having some off-roading ability without the negativity that some apply to off-roaders in general. Scaled down the Korando’s shape could easily translate into a supermini format. 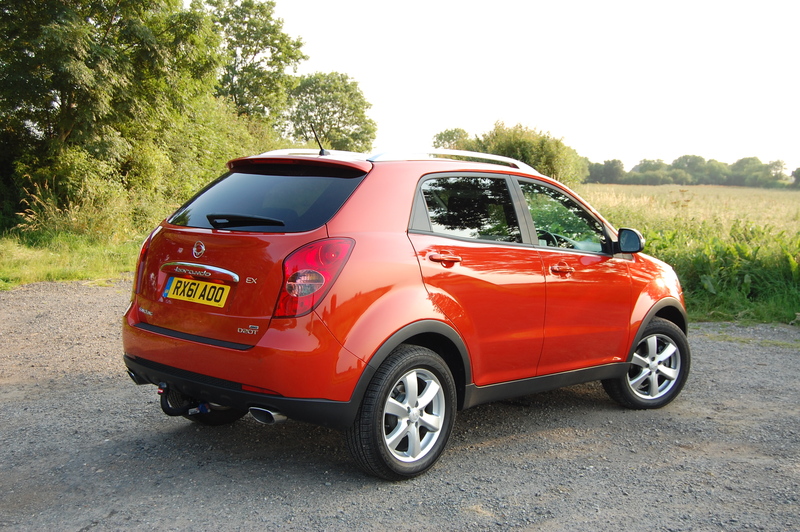 A smattering of unpainted plastic trims lend an air of ruggedness to the otherwise very orange (SsangYong calls it Vitamin Red) bodywork, reminding all that this car can at least traverse a rutted, asphalt free track without getting into difficulty. 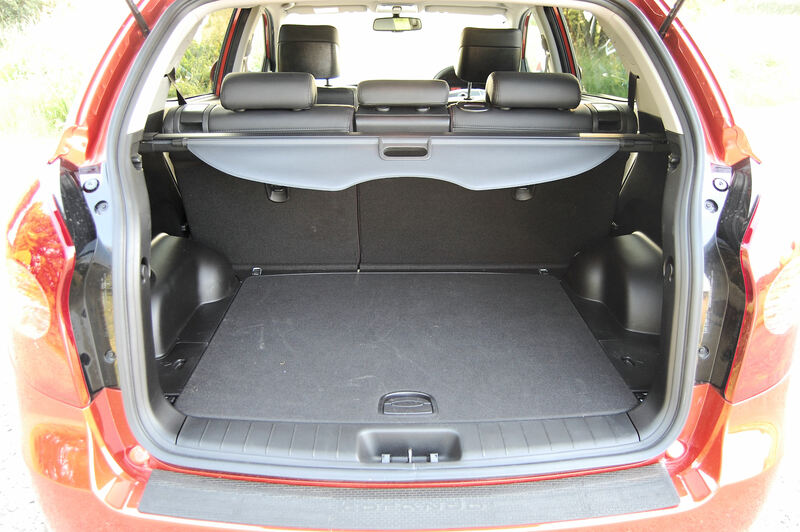 Spacious boot but high lip and a lot of uncarpeted surfaces in the Korando’s boot. The Korando’s doors open wide to access the five-seater cabin, whilst the relaxed angle of the tailgate opens to reveal a useful 486 litres of capacity with the seats in place, accessed over quite a high sill. There’s the usual roller tonneau cover and the seats split and fold effortlessly at a 60:40 ratio but the boot space is otherwise feature free, with no convenient hooks or restraining bars to keep luggage in place. I’d have doubts about how long that shiny plastic would remain looking new after a few months of typical use. Make no mistake, in range topping EX grade, the Korando is better equipped than someone who lucked in at a Comet closing down sale. Leather seating (admittedly a little light on grain depth, ergo feeling a little like vinyl), heated chairs front and rear, electric windows, mirrors and sunroof, climate control, satnav, privacy glass to the rear and cruise control are amongst the headline grabbers. Well equipped in EX trim but the grading of plastics in the Korando cabin feels inferior to rivals. The Korando’s interior stylists definitely detoured through Blandsville but the result is there’s little to distract the occupants or prevent them gaining a comfortable seating position for longer journeys. Naturally, the driver’s perch is the better place to be with electrical adjustment allowing the pilot to precisely position the chair to his or her specific requirements, the steering wheel position being variable and a fine vista of the conditions ahead due to the glassy cabin. Large rear view mirrors ensure the thickness of the C-pillars rarely pose a problem as far as visibility is concerned. Although the Korando has yet to have been subjected to the rigours of the Euro NCAP safety testing programme, the SsangYong is fitted with all-round airbags and other kit such as active head restraints, electronic brake for distribution and electronic stability aids including anti-rollover protection. Where some potential flagship Korando customers may begin to have doubts is when they start to poke, prod and generally stroke the interior surfaces. Whilst there are few doubts about the quality of the construction, the grading of plastics used to furnish the interior feels more downmarket than the near £23,000 price tag suggests. 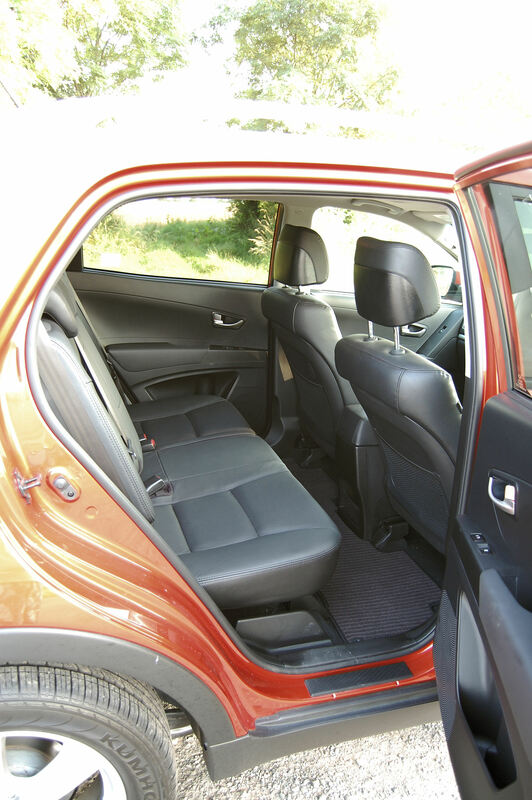 The Korando’s three-seater rear bench is spacious, reclines and on EX models, heated. Soft-touch and slush mouldings seem to be concepts SsangYong’s interior design team eschewed in favour of hard and shiny. Everything works as it should but there’s little to surprise and delight as your fingertips survey the environment at traffic lights. A mish-mash of dimple and hide finishes, as well as metallic-look accents, do little to lift the ordinariness of the surroundings. How resilient those plastics will be to the deft touches of pre-teens over the course of ownership remains to be seen. At least sticky finger marks will wipe off them easily enough. Where the Korando feels more off the pace compared to its rivals is out on the road, where the drivetrain and suspension settings offer the kind of experience that delivers little joy and encourages you to drive more gently. 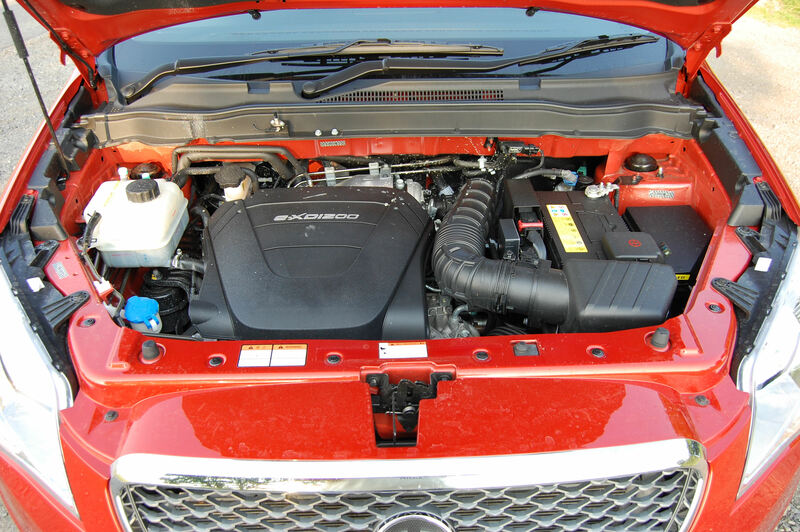 Being more careful at the helm might not be a bad thing under the circumstances because with the automatic T-Tronic transmission and all wheel drive, the Korando’s 2.0-litre common rail turbo diesel is disappointingly thirsty. The official 37.7mpg claim seemed a might optimistic after a week of the SsangYong struggling to deliver much above 32mpg over a variety of traffic conditions. It may be a diesel but combined with T-Tronic transmission, the Korando isn’t especially frugal. Further at odds with the notion of Korando thriftiness is the J rating for the VED banding, based on 199g/km of CO2 producing a bill for 2013 of £250. Overall, performance is of an acceptable pace but getting there is an aural challenge by virtue of the gearbox holding the revs to a level that sounds much longer than necessary, hesitating to change up to the next cog. This perhaps contributes to the thirst. Slowing down is equally challenging – the brakes cope well with the demands placed upon them but the transmission is again slow witted deciding which ratio to choose, dulling progress as a result. Yes, you can flick between the six gears yourself but why not save yourself £1500 and stick with the manual if you’re going to change gears yourself anyway? Winding countryside roads don’t bring the best out in the SsangYong Korando’s dynamics. Once up to the desired speed, the Korando cruises along without drama and is happier on dual carriageways and motorways where the comfort-oriented suspension performs at its best. Venture onto routes that require variations in speed and direction and the Korando is less rewarding. In addition to the gearbox playing hunt the ratio, the vagueness of the electrically assisted steering becomes increasingly evident, as does the body roll as you approach corners with anything approaching enthusiastic pace. Your speed naturally drops in part to stop you sliding about on the leather. It’s often stated that so the theory goes in the car world that if the base model is decent, all those above it will be winners. Testing the theory the other way around proves inconclusive. Whilst at £22,995 the flagship SsangYong Korando isn’t massively expensive (the upper echelons of the Kia Sportage range are a good £5000 dearer) it nevertheless manages to feel too much money. Yes, it’s very well equipped in EX form but the surroundings they’re in contrast sharply making it feel underwhelming. It’s tantamount to going on a date with a beautiful woman trying to wine and dine her at KFC. But, the Korando does have something to offer the value conscious families that SsangYong’s unashamedly targeting. 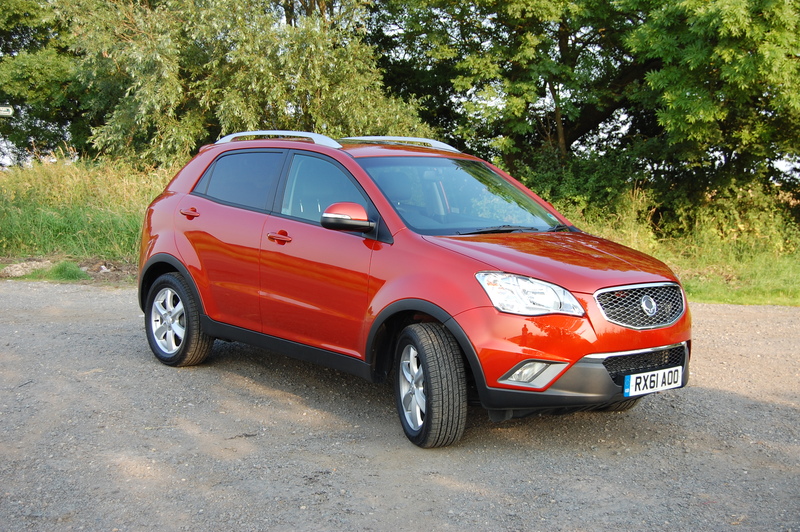 SsangYong’s Korando – makes much more sense the cheaper it is. Even in less expensive trim levels, the Korando is still a good looking car and in not-quite-entry-level SX specification, still enjoys many of the toys on offer. Better still, with a less powerful 147bhp version of the diesel engine and a six-speed manual gearbox, still with all wheel drive security, performance remains identical yet is a claimed 8mpg more fuel efficient and a that’ll do nicely £80 less expensive in terms of annual road tax. Offering a less expensive alternative to the competition is where the SsangYong Korando makes a much more convincing argument and at £18,795 the SX model is a much more attractive proposition. SsangYong’s Korando range starts at £16,995 for the 2.0 Diesel (2WD) S up to £22,995 for the 2.0 Diesel (AWD) EX T-Tronic. 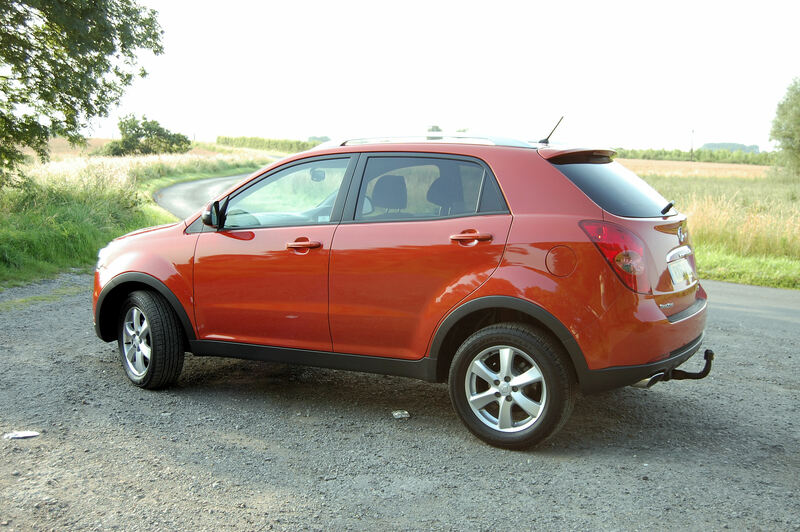 An engaging and well observed piece Keith – interesting to note that like Captiva, Korando is fitted with Kumho tyres.